Armando Hinojosa lives in his hometown of Laredo near one of the first Spanish settlements in Texas. 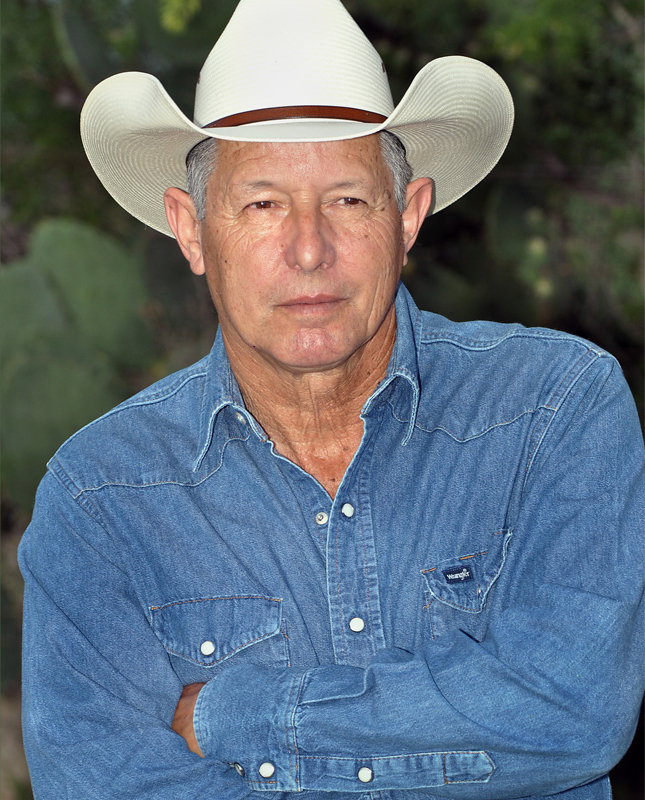 He is a renowned sculptor and painter, whose work appears in the collections of President Richard Nixon, and former Texas Governors William Clements, Dolph Briscoe, and Allen Shivers. The Texas Legislature recognized Hinojosa’s talent and contribution to the canon of Texas art by pronouncing him the Official State Artist of Texas for the years 1982-3. He is the son of a sculptor-painter and a descendant of Tomas Sanchez who played an important role in the founding of Laredo. In fact, Hinojosa traces his roots back to the 17th century along Rio Grande, and his current residence is also near one of the first Spanish land grants in South Texas. Hinojosa graduated from Texas A&I University in Kingsville. He has created about 30 sculptures during his 45-year art career, including “Among Friends There Are No Borders,” a rendition of a charro and a vaquero at Laredo International Airport. Hinojosa also created a life-sized Admiral Nimitz, which was placed at Sea World, and the Double Eagle, which is placed at the entrance of Six Flags, Fiesta Texas, both of which are located in San Antonio. The Double Eagle, which depicts the national bird of the United States, is almost 9 feet high with a 14-foot wingspan. Stevens Art Foundry is honored to have been chosen to cast all of these works in addition to all the figures in the Tejano Monument. More information about Armando Hinojosa and his art is found on his website. 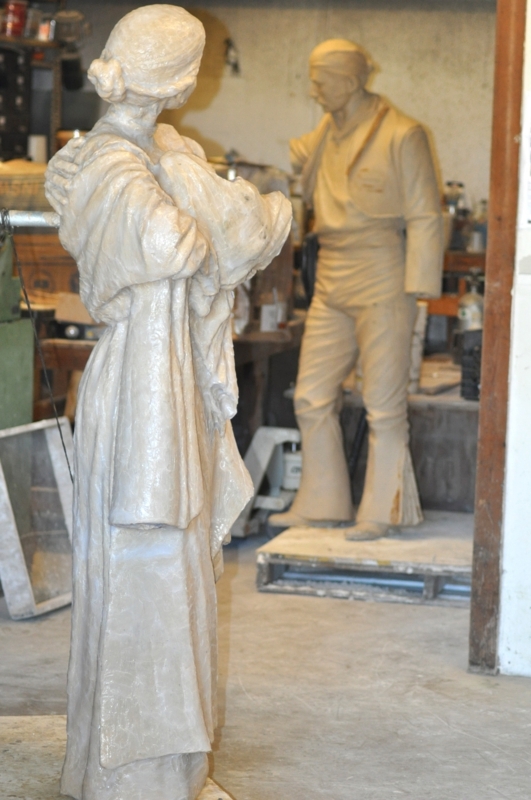 Pictures of work in progress of bronze statues for the Tejano Monument sculpted by Armando Hinojosa. 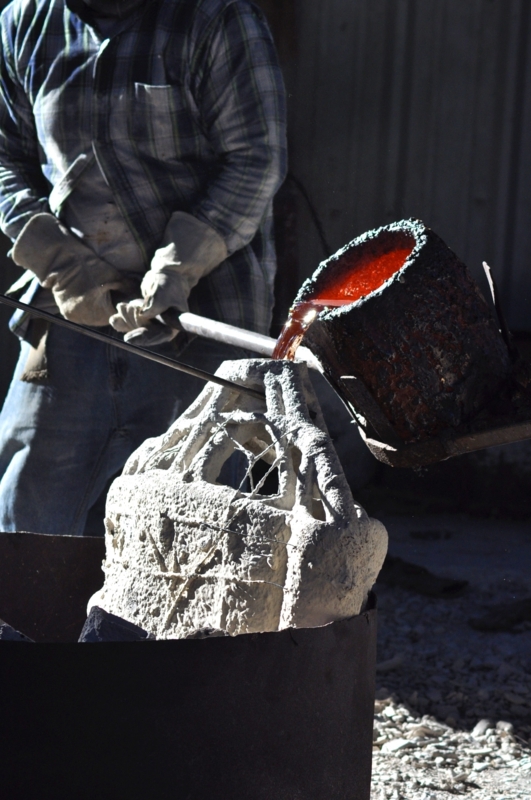 [img src=http://stevensartfoundry.com/wp-content/flagallery/armando-hinojosa/thumbs/thumbs_dsc_2019.jpg]460Pouring the life-sized man's torso in one piece. The Tejano Monument includes a life-sized couple holding an infant. 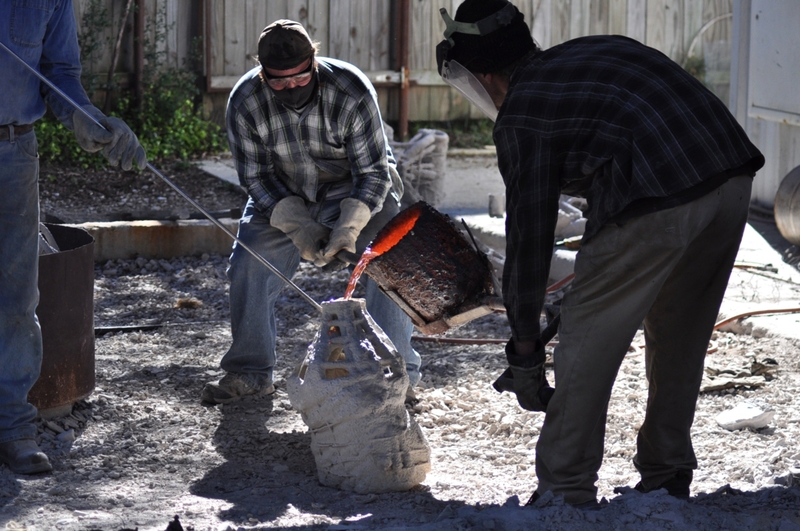 Here, Stevens Art Foundry is pouring the life-sized man's torso in one piece. [img src=http://stevensartfoundry.com/wp-content/flagallery/armando-hinojosa/thumbs/thumbs_3-176x150.jpg]330Here is the original clay model of a girl with a sheep. 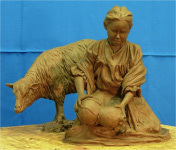 Here is the original clay model of a girl with a sheep, which will be included in the Tejano Monument. [img src=http://stevensartfoundry.com/wp-content/flagallery/armando-hinojosa/thumbs/thumbs_dsc_1922.jpg]170Here, the Tejano couple has been separated to prepare the molds. The Tejano Monument includes a life-sized couple holding an infant. 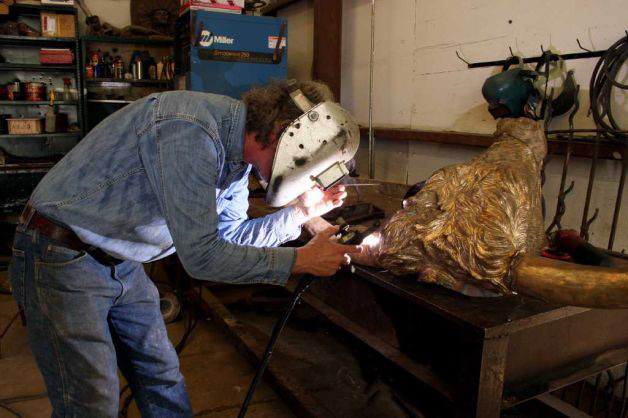 Here, Stevens Art Foundry is pouring the life-sized woman's torso in one piece. [img src=http://stevensartfoundry.com/wp-content/flagallery/armando-hinojosa/thumbs/thumbs_628x471.jpg]190Larry is putting some finishing touches on the head of the longhorn for the Tejano Monument. Larry is putting some finishing touches on the head of the life-sized longhorn for the Tejano Monument. [img src=http://stevensartfoundry.com/wp-content/flagallery/armando-hinojosa/thumbs/thumbs_dsc_1920.jpg]130This is a close up of the Tejano woman covered in silicon. 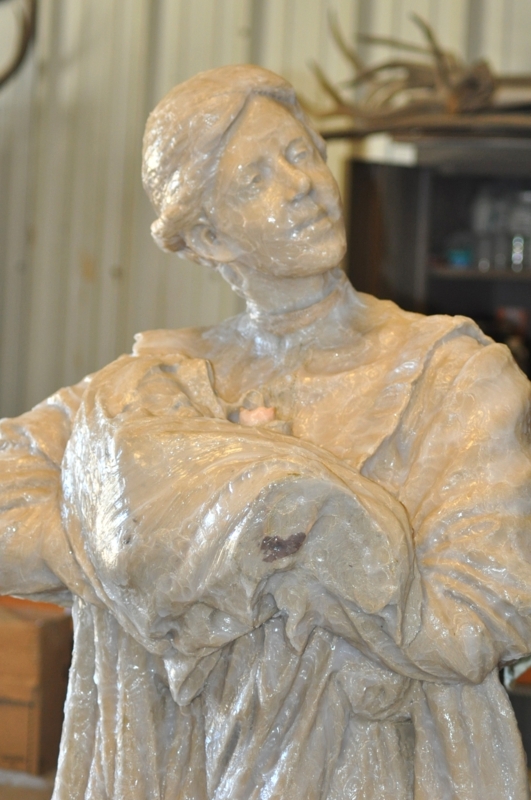 Here is a close-up of the woman of the Tejano couple covered in silicon, which is part of the molding process. 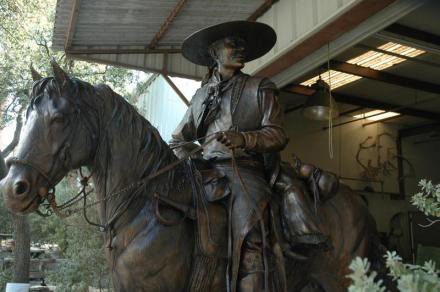 The Tejano Monument will be placed in Austin late March, 2012. 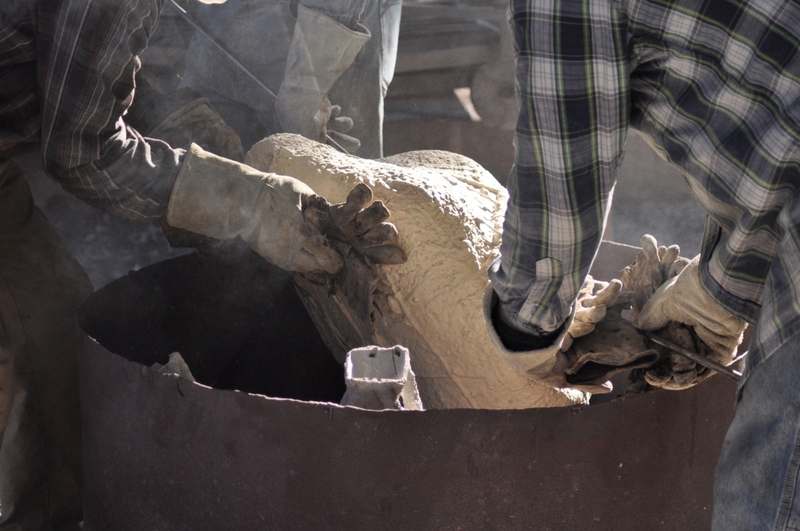 [img src=http://stevensartfoundry.com/wp-content/flagallery/armando-hinojosa/thumbs/thumbs_dsc_1994.jpg]140Wrestling the mold of the large torso after removing it from the burn-out oven. Wrestling the mold of the large torso after removing it from the burn-out oven, which burns out all of the wax from the mold. 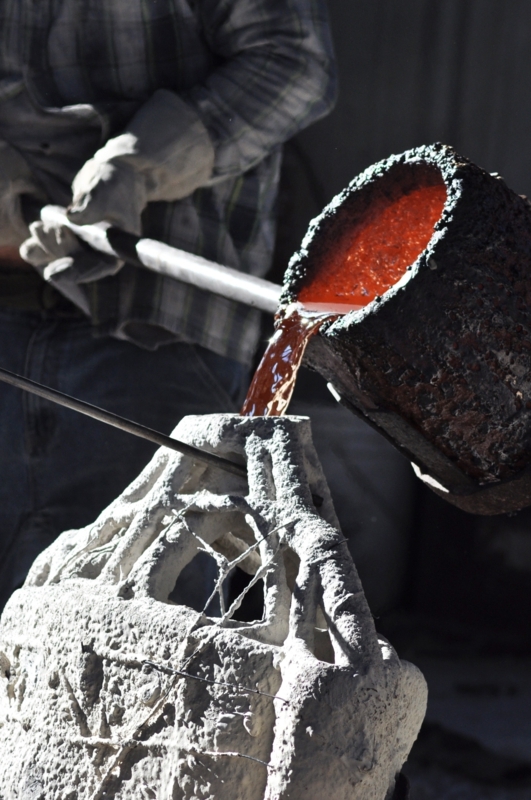 [img src=http://stevensartfoundry.com/wp-content/flagallery/armando-hinojosa/thumbs/thumbs_dsc_2024.jpg]180Close-up of pouring molten bronze into the mold of the man's torso. Close-up of pouring molten bronze into the mold of the man's torso, which is part of the couple holding an infant in the Tejano Monument. [img src=http://stevensartfoundry.com/wp-content/flagallery/armando-hinojosa/thumbs/thumbs_dsc_2026.jpg]140After pouring the bronze, the mold sits in the pit to cool. 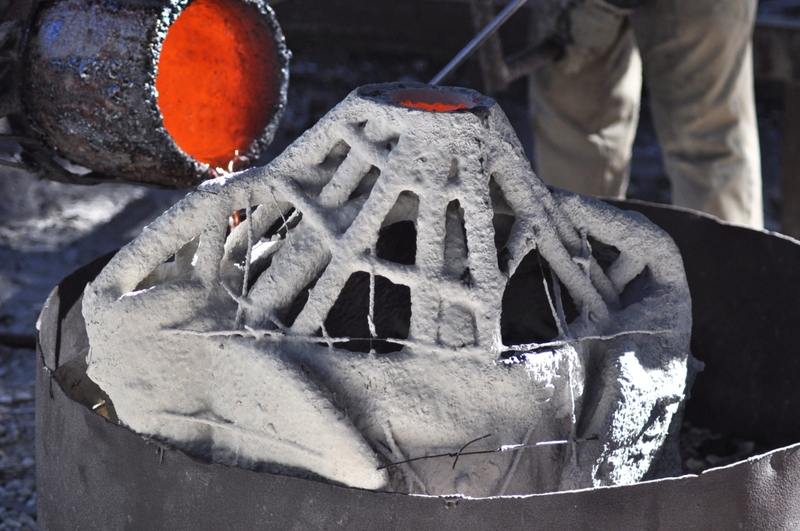 After pouring the bronze, the mold sits in the pit to cool. [img src=http://stevensartfoundry.com/wp-content/flagallery/armando-hinojosa/thumbs/thumbs_tejanomonument.jpg]340The finished equestrian which is the largest bronze in the Tejano Monument. The finished equestrian stands in front of the Stevens Art Foundry ready to ship. [img src=http://stevensartfoundry.com/wp-content/flagallery/armando-hinojosa/thumbs/thumbs_armando-hinojosa-new.jpg]150The sculptor of the Tejano Monument Armando Hinojosa. The sculptor of the Tejano Monument Armando Hinojosa. 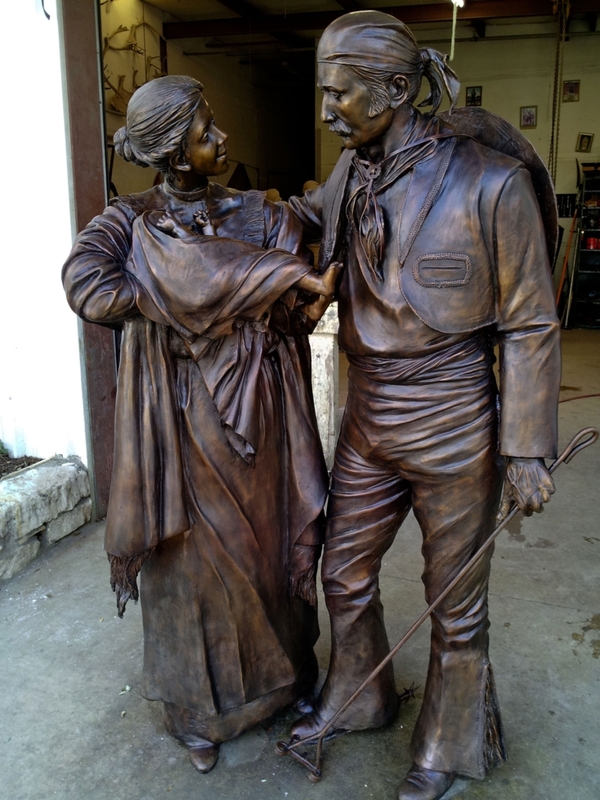 [img src=http://stevensartfoundry.com/wp-content/flagallery/armando-hinojosa/thumbs/thumbs_tejano-couple-processed_734x979.jpg]450Here is the finished Tejano couple in bronze. The final version of the Tejano couple with the final applied.